Why so Mad Folks? Gritty, Realistic, HD Zelda…. is That Really a Problem? Remember folks, Twilight Princess was a bad game because of it’s graphics. Yup. Let me start off by saying this: Stop correlating HD to gritty and realistic. HD does not mean gritty and realistic. HD is just a describer for the resolution at which a game is presented. Aka, the number of pixels that can be displayed on the screen. Ratchet and Clank for the PS3, as an example, is in HD just like Uncharted 2 is in HD. That means, in essence, that just because Nintendo’s Wii U console is in HD doesn’t have a damn thing to do with graphical styling. It just means whatever art style Nintendo chooses for x game is simply going to look better. They can also put in finer details since they will now be more noticeable. That’s the bottom line. Time and time again at this site I have seen many fans whine and complain about Gritty/Realistic games. Nintendo should never do it, it’s bland and generic (I really hate that word), and apparently is lazy. I never understood the lazy remark, because from my knowledge it’s much harder to create the realistic looking games than it is a game that looks like The Wind Waker. So if it actually takes a lot more effort to do, than lazy really isn’t a nice describing word for this style. None the less, Nintendo fans are just complaining like mad. They don’t want Nintendo to ever bother touching this style. As if it’s the devil and “wrecks” games. If it touches Zelda (like in the Wii U tech demo), it’s the end of Zelda as we know it. At least, that’s what many of the fans have been spewing. The reality is that fans are forgetting what Nintendo has been hammering in our heads for years. It’s all about game play, then the graphics come in to compliment that game play. As in, Nintendo uses graphics for what the intended use should be for every game – to enhance the experience of the game play. Whether or not a Zelda game, as an example, is gritty or cartoony, or somewhere inbetween like Skyward Sword, none of that is going to determine if the game is a Zelda game. It’s not going to make the game good or bad. The graphics, in the end, are completely irrelevant to the Zelda series. They don’t matter, because graphics have never been what “makes” a Zelda game. 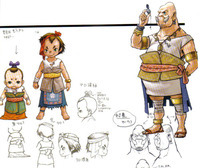 I am just getting tired, however, of people going up in arms how Zelda should simply never be gritty. It’s as if people forgot Nintendo has already done it before, and there was still plenty of artistic styling. It’s like people are “forgetting” about Twilight Princess – that or they are unfairly marking it as a black sheep when in reality it is one of the most “complete” Zelda experiences out there. The graphics in that game had nothing to do with what made the game good or bad. But hey, it’s gritty, so it must be bad. What you see in the concept art to the right is a perfect example of Nintendo going “outside the box” with Twilight Princess. Gritty and “realistic” can easily have a ton of character put into it. 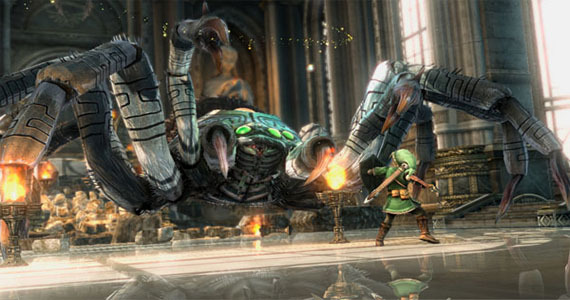 Twilight Princess was definitely not lacking character in it’s design. It’s as if “just because something is in a gritty setting it magically cannot be artistic by definition of being gritty”. That’s simply not true. I would argue Borderlands, which is actually an FPS game I really enjoyed due to how different it was, uses a gritty style to it’s game. Yet, the graphics are not remotely realistic, and the world is bright and vibrant. Nintendo has done Twilight Princess before, and the Wii U tech demo was simply TP’s styling upscaled to take advantage of Wii U’s hardware. Did it really look boring and uninspired to you? Because here is what I see when I look at that screencap. Link himself is completely stylistic. The model is almost 100% different from any other model we have seen of link outside of concept art. He doesn’t look generic to me, but rather very stylistic. But I must be wrong, of course, because this is a gritty realistic reimagining of a gritty realistic Twilight Princess that clearly sucked balls because it was gritty and realistic. Wait, wasn’t the #1 complaint about the Ocarina of Time 3D centered on the fact that everything was brighter and it lost the “feel” of the original Ocarina of Time? You know, the dark, gritty, realistic feel? 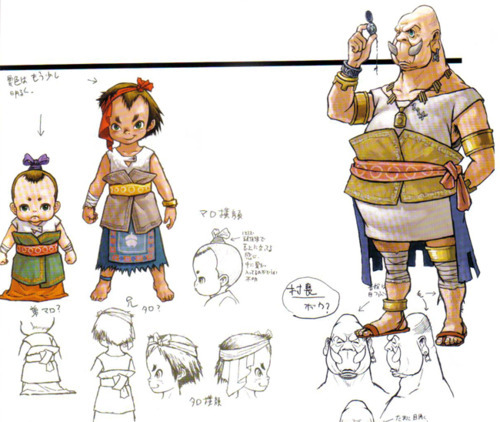 That still had a lot of character and styling to it, just like in Twilight Princess? See folks, it’s a classic case of not knowing what you want, or understanding what your saying. I do think The Wind Waker and Skyward Sword are gorgeous, but their graphic stylings have “almost” nothing to do with my opinion on how good they are. As an example, The Wind Waker’s graphics are essentially timeless, but that doesn’t affect my opinion on if the game is good or not. The graphics serve each games purpose perfectly. Just like it did in Twilight Princess, which went on to be the 2nd best selling game in the series. What’s the best selling game? Oh just another gritty/realistic game in the original Ocarina of Time. No big deal or anything. One could argue that just becuase something sells better doesn’t make it necessarily better, and my counter argument is always “if more people enjoyed x game than the previous game, clearly the developer made the right call”. After all, Nintendo’s goal is always please as many people as they can. Make more people than the previous enjoy the game. That’s why Ocarina of Time seems to always be the pedestal Nintendo wants to pass. 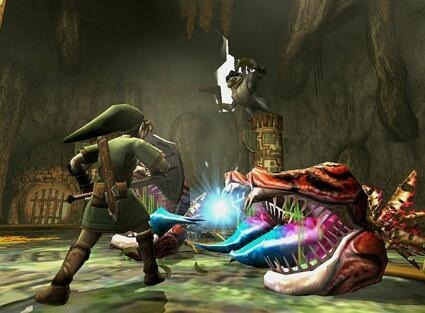 They want to get a game that appeals to a larger audience than what Ocarina of Time did. In the end, can we please stop complaining about the gritty and realistic style that Zelda may or may not take, as it has done so in the past may continue to do so in the future? Seriously, it’s getting old hat at this point. Realistic graphics are not going to make the game bad. As long as they enhance the experience and game play, than the graphics are perfect. That’s all they are supposed to do, after all. As an example, what makes Call of Duty “bad” to a lot of people has absolutely nothing to do with Graphics – but go ahead and keep saying that “realistic graphics” are what is making gaming horrid, and ignore the fact it’s that the game play is so bland that really is the issue, not the art direction. Last I checked, Zelda hasn’t had a game play issue yet. HD wont change that.